Founded in 1946, Fidelity Investments is a full-service broker with over 20 million retail brokerage accounts and over $2 trillion in client assets. 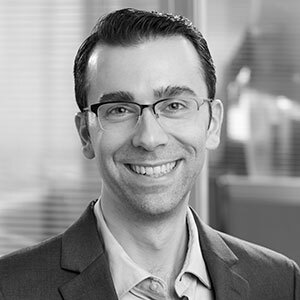 Having reviewed Fidelity for over nine years, what impresses me most about the company is the drive to continue innovation and push forward across all products to provide the best possible customer experience. This review will dive in and take a closer look at the iconic Fidelity brand. Website research experience leads the industry. Leader in order execution quality. The mobile app is great, however it is designed for investors first, and traders second. After factoring in order execution quality, where Fidelity reigns supreme, Fidelity’s $4.95 stock trades consistently yield additional value for customers. 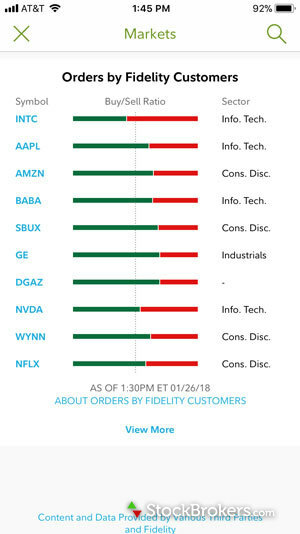 Rare in the industry, Fidelity does not accept payment for order flow (PFOF), which results in cost savings for customers when placing stock trades. Fidelity offers 12,505 mutual funds, of which just over 4,000 are No Transaction Fee (NTF) funds. Alongside Charles Schwab, Fidelity is the only broker to list the price improvement received on eligible orders. Regular mutual fund trades cost $49.95 to buy, $0 to sell. Unlike most brokers, Fidelity and Charles Schwab charge only for the original purchase. There is no additional charge for redemption (i.e., selling). 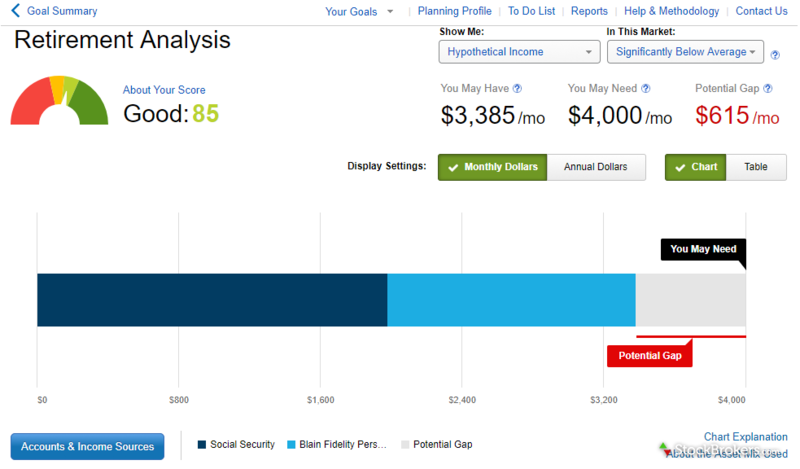 Fidelity’s website provides everything an everyday investor needs to manage a portfolio. 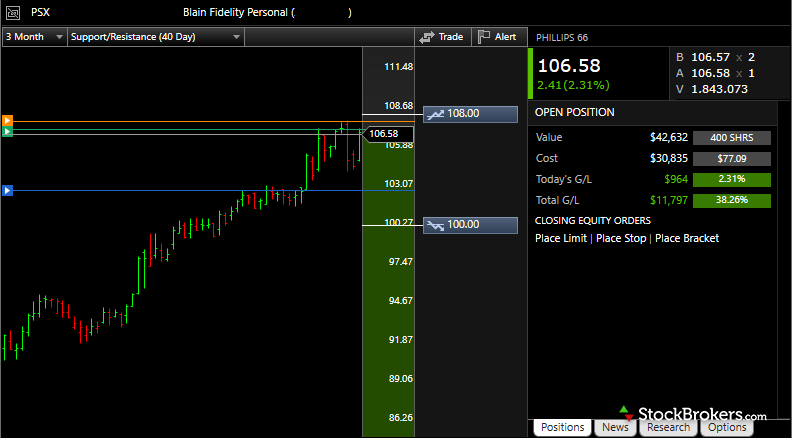 For active traders, Active Trader Pro is Fidelity’s flagship desktop platform, and is packed with tools. 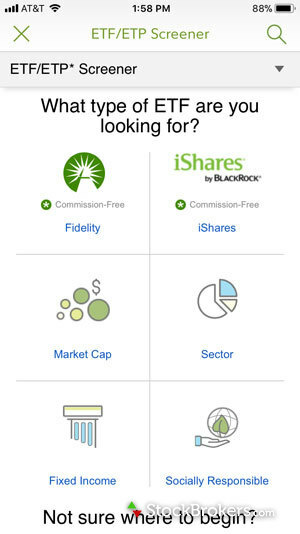 Fidelity’s website watch list tool is my personal favorite among all the brokers I’ve tested in our annual review. Streaming quotes are included as well as 48 total columns of data to choose from. Furthermore, the workflow is seamless, making it a breeze to transition into equity research or into the docked order ticket to place a trade. In Active Trader Pro, charting is cleanly laid out and encompasses pretty much everything a trader could want: 22 different drawing tools, 166 optional studies, overlays, custom profiles, trading off the chart, displayed alerts, notes, and more. 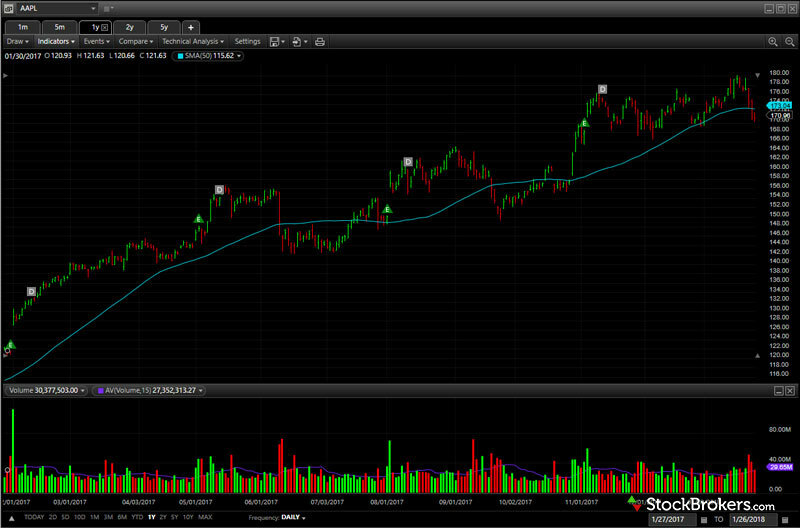 Recognia is also incorporated to automate the identification of common technical patterns. Active Trader Pro includes several unique, in-house brewed tools, including Real-Time Analytics (streaming trade signals) and Trade Armor (real-time position analysis). Trade Armor is also available through the website. 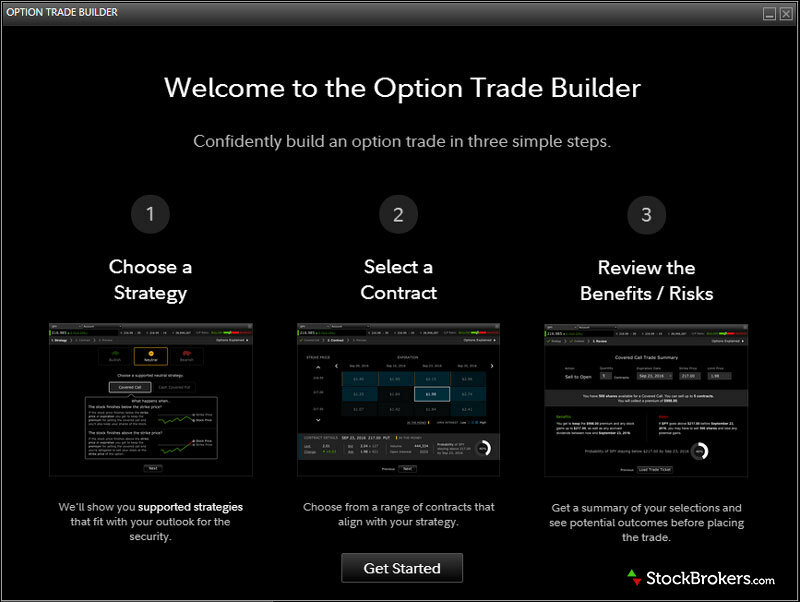 Options trading with Active Trader Pro is just as impressive as stock trading, and includes a variety of analysis tools. Active Trader Pro offers 91 optional columns for watch lists, which is great, but underwhelms compared to category leaders such as TD Ameritrade and TradeStation, which each offer hundreds. No ladder-trading tool provided for day traders. Fidelity’s shining star is research. The entire website experience is meticulously laid out, the broker provides terrific in-house market commentary, and every tool is rich with insights. Fidelity provides 12 third-party research reports for stocks and five for ETFs, the largest of any broker. Is that information overload? Perhaps. But it illustrates how thorough Fidelity is when it comes to research. Fidelity’s stock, ETF, and mutual fund screeners are easy to use, rich in data, and set the benchmark for the industry. Fidelity’s leadership in research also extends to overall market research with Fidelity Viewpoints. Only Schwab, with its Insights articles, can go toe to toe with Fidelity’s market analysis. My favorite Viewpoint research is the annual sector outlook report, which highlights key trends to watch and includes detailed analysis of each sector. Despite a buffet of information and analysis, surprisingly, no third-party research reports are offered for mutual funds. 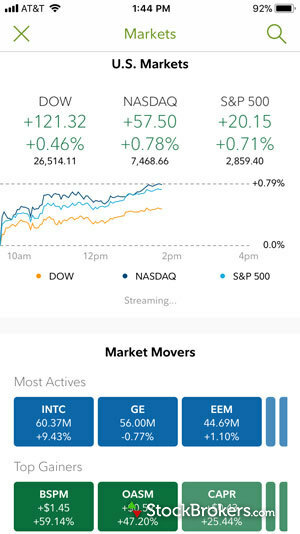 Fidelity’s mobile experience is cleanly designed, bug-free, and delivers a phenomenal experience for investors. While active traders may be left wanting more, for the majority, Fidelity delivers, winning our award, No. 1 Investor App, in 2019. Upon logging in, a unique, customizable dashboard experience, displayed as a personalized feed, greets you. In your personalized feed, market cards float on top of varying scenery images that rotate after each login, creating an experience found nowhere else. Cards cover everything, from market news to portfolio and watch list insights. As far as customizable dashboards go, Fidelity’s is my favorite. Research is robust and exactly what one would expect to find after using the website. Among many other highlights of the mobile app is the note-taking functionality, which syncs with the Notebook tool on the main site, and Active Trader Pro. Using Notes allows you to log personal thoughts on individual stocks and the broader markets, then have everything sync in one easy-to-access location. While Fidelity thrives in its offering of research on mobile, it struggles in the active trader department. 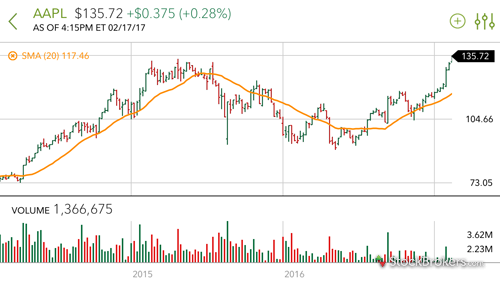 For example, charting is clean and includes after-hours charts, which is nice; however, only seven indicators are available – well below the industry average of over 40. The app experience is built primarily around investors. To better serve active traders, Fidelity should consider a separate dedicated app, a strategy both E*TRADE and TD Ameritrade employ. Fidelity provides all the benefits of what an investor would expect of a full-service brokerage. Full spectrum of investment services provided, from stock trading to retirement guidance. International trading enables customers to trade in 25 countries and exchange between 16 currencies. Futures and forex trading not offered. Looking at Fidelity’s educational offering as a whole, there’s something for everyone, and the broker leads by example, especially on the topic of retirement. Fidelity does a good job of breaking up content, sorting by experience level, category, and content type. Articles, videos, webinars, infographics, and courses are available to customers. Courses organize articles and videos into a step-by-step roadmap and track your progress so you can easily leave and come back later without forgetting your place. Fidelity really stands out with its retirement education. 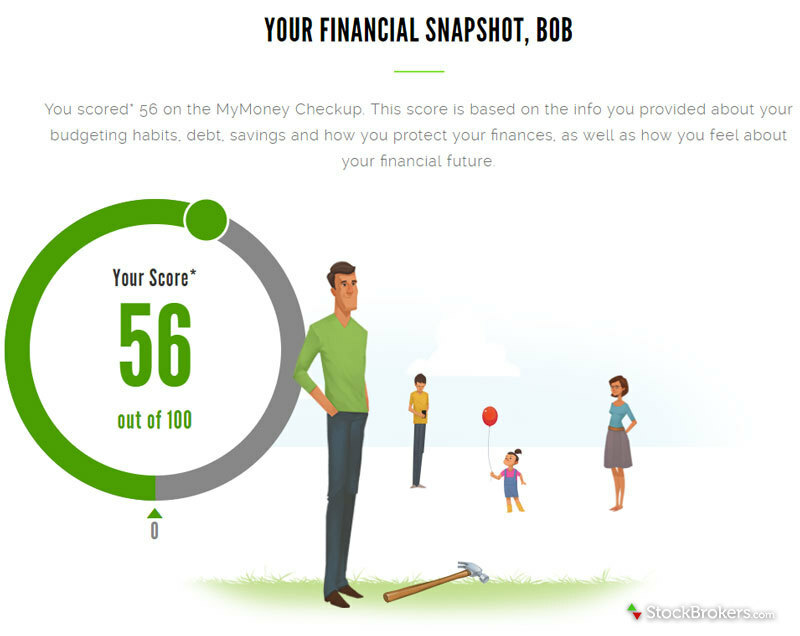 Over the years, I have compiled an entire folder of bookmarked Fidelity Viewpoint articles on money-related topics, including retirement and personal finance in general. Fidelity offers a variety of in-house tools to provide you with a proper diagnosis of your financial position: Financial Checkup, Retirement Score, Income Strategy Evaluator, and Guided Portfolio Summary make up the primary lineup. Customers who bank with Fidelity are not protected by FDIC insurance; however, the broker delivers a consistent and reliable experience. Fidelity truly embraces no-fee banking. For current customers, the Fidelity Rewards Visa Signature credit card offers 2% cashback on all purchases. Rewards are deposited directly into any of your Fidelity accounts. Unlike competitors Merrill Edge, Charles Schwab, and E*TRADE, Fidelity is not a registered member of the Federal Deposit Insurance Corporation (FDIC), which insures bank deposits up to $250,000. No loyalty rewards are offered for using multiple products, an area in which Bank of America Merrill Edge is outstanding. Overall, thanks to its low costs and diverse offering, Fidelity Investments defines value for investors across the full spectrum of the investment community. While Fidelity shines across the board, the backbone of Fidelity’s success, research, and retirement will undoubtedly continue to be front and center for years to come. Find out how Fidelity Investments stacks up against other brokers.